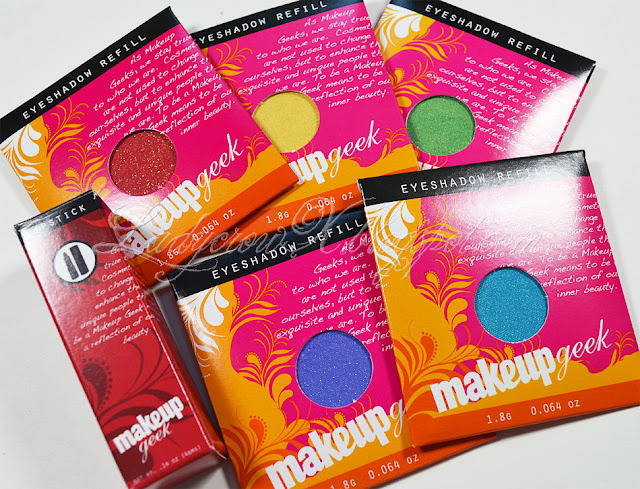 Not too long ago I picked up some Makeup Geek products, here's just a small sneak peek and I will have some swatches up in the next few days as well as a review. I ended up getting 5 eyeshadows and a lipstick when they were having a small sale for $1 off each product. Do you own anything from them? What's your favorites? I have all of the eyeshadows and almost all of the gel liners. :) I really love Corrupt (the black one) and Bitten which is a dark maroon red. They are freakishly pigmented and just amazing!